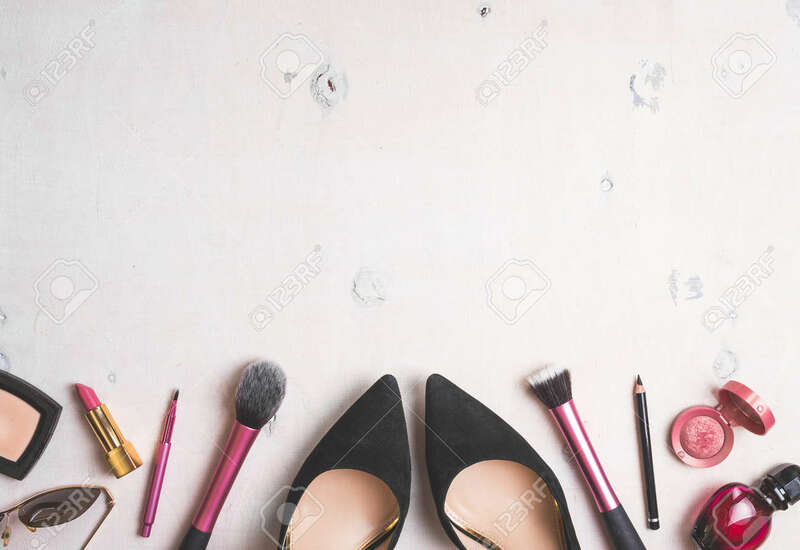 Feminine Cosmetic Background. Overhead Of Essentials Of A Modern Woman. Cosmetic Objects Frame. Instagram Filter Style Banco De Imagens Royalty Free, Ilustrações, Imagens E Banco De Imagens.. Image 46103205.